While dozens of Oklahoma bands drove several hours to play SXSW, two Stillwater natives only had to drive a few miles. That’s because they’ve lived in Austin for eight years. Singer Daniel Pruitt and guitarist Garrett Hellman grew up in Stillwater from an early age. They played in the band Shiloh Fivecoat and both went to Oklahoma State University – Daniel studied English and Garrett studied Electrical Engineering. 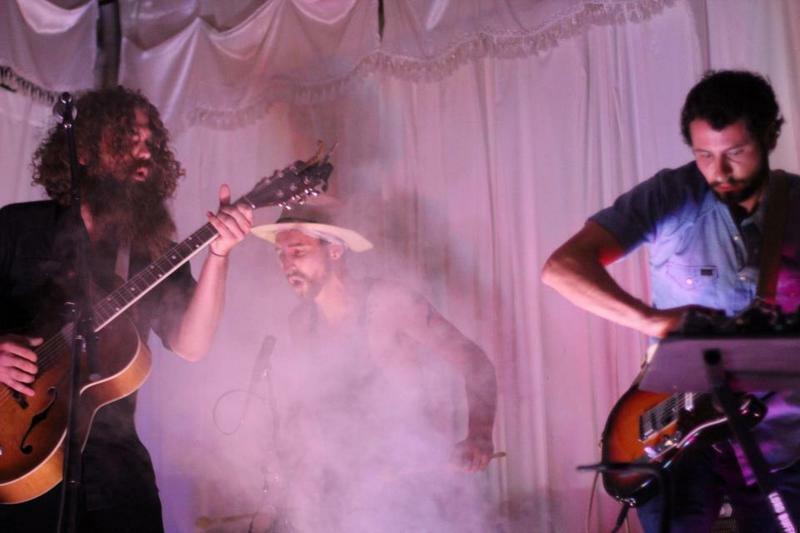 After moving to Austin eight years ago, they formed the Hot Pentecostals and still maintained some Oklahoma connections, releasing a split 7″ record on an Oklahoma City label with former Norman band Cheyenne. After Hot Penecostals disbanded, the two eventually formed Lord Buffalo. Although they prefer the terms mud folk and psycho stomp, they probably more well defined as dark psychedelic folk music. I hear touches of Nick Cave and the Bad Seeds and The National in their songs. Lord Buffalo is playing five shows this week, including an official South By Southwest showcase on Saturday night. More information on Lord Buffalo at lordbuffalo.com. The Woody Guthrie Center hosted a panel at the Buffalo Lounge on Wednesday with representatives of four Oklahoma music festivals. Those represented were the Woody Guthrie Folk Festival, the Norman Music Festival, ACM Rocks Bricktown and the Center of the Universe Festival. 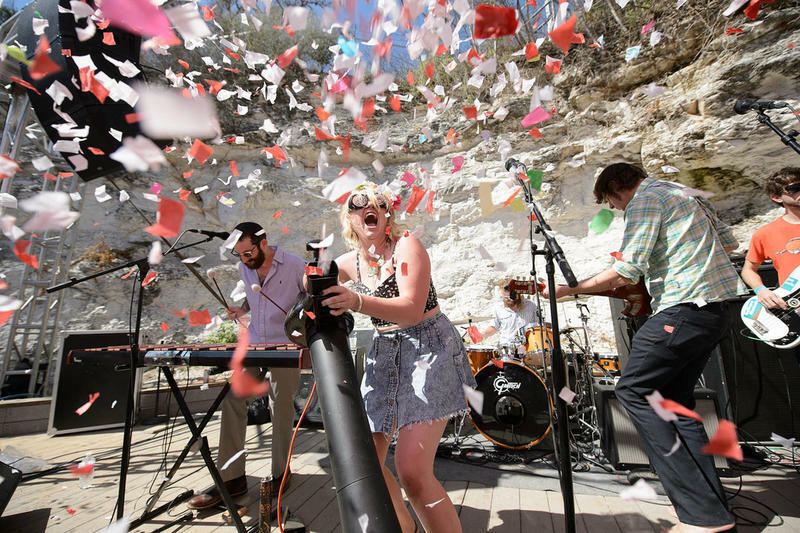 Thousands of creatives from music, film, interactive and many others invade Austin, Texas this week for the 2014 South by Southwest Conference and Festival. 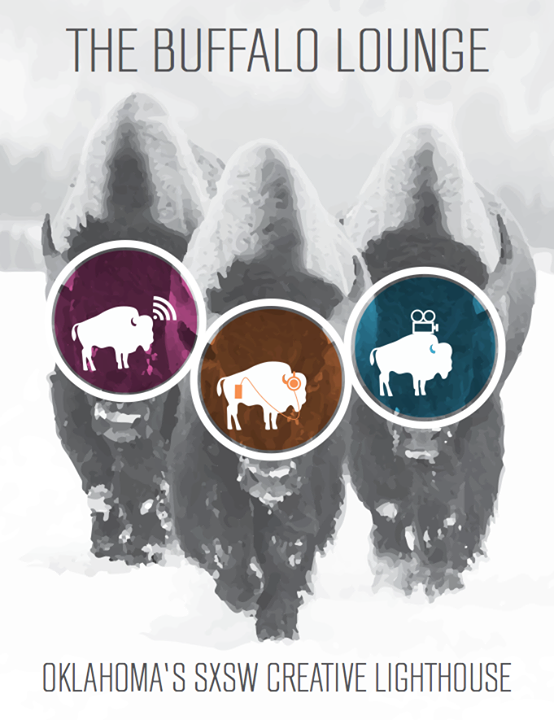 In its fourth consecutive year, The Buffalo Lounge provides exposure for participating Oklahoma companies and talent, while promoting the state as a front runner in the film, music and interactive industries. The Buffalo Lounge hosts three days of Oklahoma film, interactive and music events, starting today in Austin, Texas. 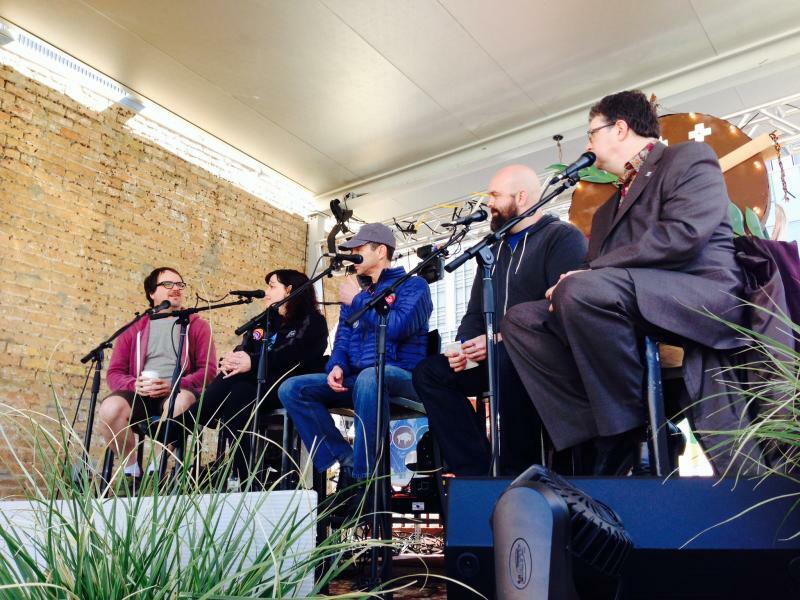 The first day at SXSW is about getting your bearings. Shaking off the jet lag, figuring out what you forgot to pack, remembering how long the lines can be and how the overwhelming crowds can sometimes part for a moment to give you a perfect look at a band you fall in love with on the spot.